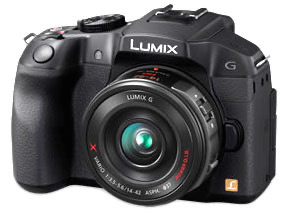 Panasonic today pre-announced the fifth generation of their basic DSLR-type mirrorless camera, the G6 (as usual, Panasonic skipped using the number four for cultural reasons). While the announcement was today, shipments won't happen until the very end of June. Visually, the G6 takes on the more curved and bulbous shape of the recently announced GH3. Overall, the camera got very slightly wider and taller in the process. Some will like the modern rounded look, but it's definitely not a classic DSLR shape. The good news is that the some attention has been paid to the right hand position, and it feels more comfortable than some earlier G generations. Many of the changes are either curious or subtle. 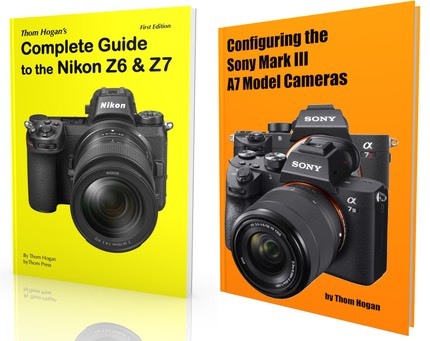 The curious is the use of the GH2 sensor, but reoptimized and not supporting the GH2's way of trying to keep pixel count at or near 16mp no matter what aspect ratio you picked. The subtle changes come in the form of additional buttons and controls, manual control of video, a slight increase to the dot number in the swivel LCD, an OLED version LCD in the viewfinder that gets rid of the field-sequential LCD, a change to capacitive touch instead of pressure sensitive touch on the LCD, slight boosts to the frame rate (7 fps without focus tracking, 5 with), and a few new tangential features (e.g. a gesture-based retouch tool for post processing images). One big addition: WiFi, with the near field communication (NFC) gimmick to enable tap-to-send to your mobile device. The G6 is definitely one of those incremental updates, though there are a lot of small increments to it. 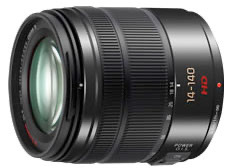 Meanwhile, along with the G6 Panasonic announced a new 14-140mm more suited for still photography (the original 14-140mm has a silent design for video recording). This new variation is a bit smaller, much lighter, and is even slightly faster in aperture than the original. Priced at the same mark as the earlier, video-inspired lens, the new 14-140mm offers still shooters a smaller, lighter alternative. While Panasonic didn't announce prices, B&H has listed the G6 at US$750 with the 14-42mm kit lens, the 14-140mm at US$800.